You might find yourself looking for a storage company when you are refurbishing your house, moving into a new house or student accommodation, or in need of extra space for your house or business. Some people can feel a bit overwhelmed with this task, and it may be a big deal to them as they haven’t ever entrusted a company with their personal belongings before. If you would like to learn more about what you should look out for when choosing a storage company, read on. Many people choose to store their items close to their home, university or business. This means that when you need to get something from the storage facility; it is more convenient for you to travel to. You may find a better price at a facility further away from you, but you also need to consider your time and travel costs. You will need to ask yourself if it is worth your time and money to travel the extra distance. Nowadays, people often read online reviews of a company to get an overall idea of how previous customers felt and to help them decide whether the companies’ storage services are worth the money they are charging. If the reviews aren’t great, continue your search until you find a trustworthy company. It is always good to have a list of a few potential storage services providers. Several review platforms such as Trusted Traders, Which?, Google My Business and Yelp provide you with genuine reviews from customers to help make your decision easier. There are different types of accreditations that good removal specialists should have in the UK. You need to look out for a company who has achieved such professional accreditations. Your mind can be at ease if you know your personal belongings are in the hands of companies with credible certifications. Do not put all of your faith into companies without any such certifications. Companies who are a member of the British Association of Removers are generally high-quality. They must pass strict membership criteria and comply with the Code of Practice, or they will face membership termination. Companies who are a member of the International Association of Movers are also of a similar standard. These members have similar strict compliance regulations as the British Association of Removers does. Another key accreditation is the ISO 9001, so a company holding this certification means they take quality assurance standards very seriously. Most respectable storage companies are quite expensive. Your personal belongings can be at risk if you go for a cheap deal, so spending a little more on a high-quality facility is worthwhile. Also, when searching for the best storage company, you need to bear in mind that there will be some factors that will affect the price and cause it to be higher if you are looking for quality. Create a plan of all the things you want to keep in the storage unit and think about how long all of your items are going to be in there. Taking the time to put together a plan helps you to get an estimate of the size of storage you need, and prevents you from paying more for the excess space you have left. There are several types of storage units you can rent. You can opt for an outdoor storage unit or an indoor storage unit, which are more secure but will cost you more. Getting an outdoor storage unit means you drive straight to it, but the weather can be an issue and affect your belongings. Whereas, the weather is never a problem for an indoor storage unit. After weighing the pros and cons of both, figure out the best option that works best for your situation. You should feel comfortable and safe when you visit the facility. Most storage facilities have a keypad entry system at the main gate – you will be given an access code to enter the facility. At the facility, there should be at least one video surveillance camera at the main gate. Some facilities have up to 15 or more video cameras at other places around the site, which keeps a record of all the individuals who entered and exited the facility. For security purposes, the facility has specific hours where renters can enter and access their storage unit. The security system will prevent you from entering the facility if you want to go outside of opening hours. Make sure you know the times and the days you are allowed access to your belongings. In some cases, you can have 24 hours access to your belongings, but you have to pay a higher fee. It is best to visit the storage facility before deciding whether or not to store your belongings there. Newer facilities tend to be pricier, and offer higher cleaning and site maintenance. Older facilities are cheaper, not as clean and are likely to experience leaky roofs, insects and rodent problems. Most people make a mental estimate when they rent a storage unit on a whim. Sometimes this estimation can end up costing customers money because they end up with a space that’s larger than they need. 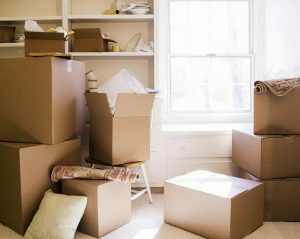 In other instances, underestimating the area you need can cause a lot of stress because you’ll end up running out of room halfway through unpacking your items. Keep an eye out on any promotions that storage companies have on their website if you are on a budget or if you would like to save yourself some money. If you do not see any deals, make a call to ask whether they currently offer any storage deals. Most storage companies know their competitors, so once one is offering a special offer, other companies will be doing it too – you can refer to their competitors and try to negotiate a lower price. However be very careful as storage providers may provide cheap storage for the first few months only to raise your fees later. Before you decide to rent a storage unit, ask the company to explain how often the rent will increase.